Complementing my interviews, today’s Author Spotlight, the two hundred and forty-second, is of multi-genre writer Jacob Singer. Jacob Singer was born in Potchefstroom, South Africa. He schooled at the Central School, and Potchefstroom High School for Boys. After a three-month stint in the South African Navy as a ballottee, he went to London to study Pharmacy at Chelsea Polytechnic. It was there, after reading an article in the Readers Digest about the Tomlinson Report, that he realized the horror of the apartheid system in South Africa. He became friendly with John Farmer, whose stepfather, Reg Sinclair was Chairman of Wilkinson Sword and Steel. They lived in Slough, and it was on a walk through the fields behind the house, after he and John walked to the top of a white tower, that they met a young girl who was hiding “from my security guards,” she said. A friendship was formed remembered to this day. Returning to South Africa, five years later, he met and married Evelyn Jackson. Today they have 3 children and 7 grandchildren. Living in Potchefstroom, a small town 72 miles from Johannesburg, Jacob became involved in the fight against the apartheid system of the National Party, that ruled the country after WWII. Believing that direct confrontation could never work, Jacob became a member of the National Party, at many meetings arguing and voting against the harsh laws being inflicted on the Indian and Coloured community in Potchefstroom. The National Party eventually asked for his resignation. In his Pharmacy, he thumbed his nose at apartheid, by having Indian and Coloured staff working on the floor with the White staff, dressed in the same uniforms. Yes, he did make many enemies in the town, because of this, but he also made many friends. One of those friends was the Member of Parliament for Potchefstroom, Louis le Grange, a member of the National Party. “Less people are killed, now that I am the Minister,” he answered. 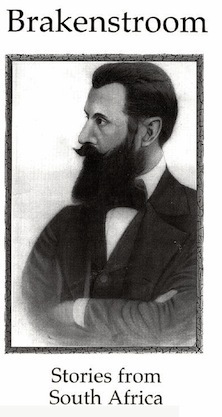 A few years later, Jacob received a message from Louis, asking him to form a committee in Potchefstroom, to start educating the Africans that lived in Ikageng, the African township just outside the town. Jacob formed a committee, with three friends. Seven Africans who were prominent leaders in Ikageng, joined them. A year later, when in a riot, young students starting throwing stones at their school in Ikageng, he asked that all the leaders of these students meet in his pharmacy at 6 am the next morning. Five young children were there at 6 am. When they offered him their names, he told them, “No, I don’t want to know who you are. Let me call you A, B, C, D, and E.” He told them that education was very important to them, especially if they one day wished to rule the country; that rather than stone the school, they should stone Municipal Buildings or any building that housed a Government supporter. After an hour, they left, promising that they would stop stoning the school. “We will no longer offer you or your family any protection!” he shouted angrily as he left the Pharmacy. That night, Gamboo, the families Bouvier dog was poisoned. It was then that he encouraged his children to emigrate from South Africa. They chose Canada, and he and Evelyn joined them six years later once they had settled down, and no longer needed financial support. It was then, leaving Potchefstroom and living in Johannesburg before emigrating to South Africa, that he wrote his first book Brakenstroom. Brakenstroom is a book of short stories about people he knew and stories he had heard from friends and family. 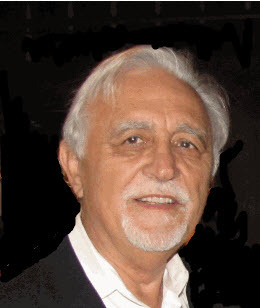 His second book, The VASE with the MANY COLOURED MARBLES was written while living in Vancouver, Canada. “It is a story I have lived with all my life,” he said when asked about the book. The Characters are people I knew, and still know. Growing up in South Africa as a child, was a wonderful experience. My mother loved and took care of me, but it was my Nanny that cleaned my room, made my bed, put away the clothes that I had left lying on the floor, and made my meals every day. She became my surrogate mother, walking me to school at 7 am every morning; playing with me when I came home from school, and making sure that I did my homework every day. It was only at supper time and weekends that I would spend time with my parents. During the School holidays, when I was 15 years old, I would go to the Municipal swimming pool during the school holidays, intent on improving my swimming. Also, all my friends had gone to Habonim Camp at Leaches Bay in the Cape. It was then that I met Marla (not her true name). We would both spend the day at the pool, lying in the sun, burning a dark brown. When, at the end of the day, we would go to the local cinema, I could prove that I was a White, by showing my skin was white below my swimming costume line. Marla unfortunately could not. I had to have my father phone the manager and tell him that Marla was a White, and therefore could be let in. It was years later that I met Marla’s mother, and listened to the story she told me. I have lived with it all my life, and decided that it was a story that had to be told. It took me close to 5 years to write The VASE with the MANY COLOURED MARBLES. It is a story about Emily Kleintjies, how she jumped the racial barrier of apartheid, becoming a White, changing her name to Emma Kline. It was a difficult story to write bring back many painful memories. Emily was classified by the South African race laws of that time as being a Coloured. In the 19th Century, the Coloured people of South Africa had similar rights to the Whites in the Cape Colony, though income and property qualifications affected them disproportionately. In the rest of South Africa, they had far fewer rights, and although the establishment of the Union of South Africa in 1910 gave them the right to vote, they were restricted to electing White representatives only. “What does that mean?” Emily asked, not quite understanding what he was saying. “But I have often sat on them, and no-one has bothered me,” Emily interrupted. After I had written it, I found an editor who made me rewrite the entire story. “You will write it as though you are writing a movie,” she advised. It took another year to rewrite. I had written the book as two books. The first book was about Emma, the mother and the second book about Marla, the daughter. I was advised to combine both books into one book. I had two friends read through the book, and check my facts. Once they had done this, I self published, after 15 publishers rejected the book. They all told me that in today’s world of eBook publishing, they were only publishing known authors. If you would like to take part in an author spotlight, take a look at https://morgenbailey.wordpress.com/submission-information/opportunities-on-this-blog (the spotlights are option (a)) or email me for details. 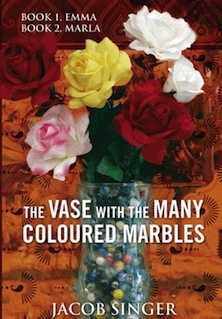 I have read “the Vase With The Many Coloured Marbles” and enjooyed it very much. It certainly gives a fresh look at both a time and a country many of us don’t think about much. The story is engaging and the characters well drawn. Thank you Yvonne. Today I have to go for a Stress test at the hospital. The stress of marketing the book is getting to me. Having you tell everyone that you enjoy the read, reduces that stress a lot. Hell… I thought writing the book, telling the world what was and how we lived was bad enough, but finding readers? It makes one ask, ‘why write if no-one wants to read?’ Well, it is there for posterity. My grandkids and their children will one day understand South Africa as it was. Pingback: Singer FOR FREE! Get Your Free E-Book Right Now! | Novel Ideas | Hey Sweetheart, Get Me Rewrite!